Joint Entrance Exam (JEE) will be organized by Indian Institute of Technology (IIT) Madras for the academic year 2017. JEE is a national-level exam conducted for admission to undergraduate Engineering courses in 22 IITs and ISM Dhanbad. 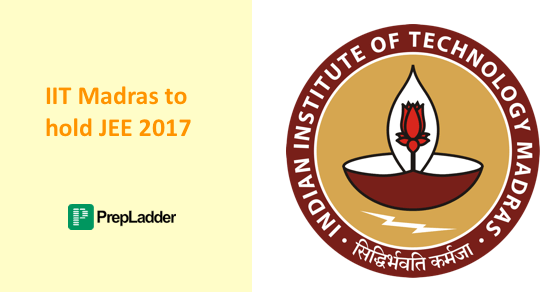 IIT Madras would be the exam conducting authority for JEE 2017. JEE 2016 was conducted by IIT Guwahati. Central Board of Secondary Education (CBSE) is yet to release the official registration and the exam dates for JEE 2017. As per the official sources, students are required to secure at least 75 percent marks or emerge in the Top 20 percentile in Class 12 examination in order to qualify for appearing in the exam. The qualifying criteria for the SC and ST candidates is 65 percent marks. All other JEE examination procedures will remain unchanged. The HRD Ministry took a substantial decision concerning JEE exams and laid the decision that Class 12 marks of the candidates would not be taken into consideration while admitting the candidates to Undergraduate Engineering Courses. This rule would be binding on all engineering aspirants from the next year. 3% horizontal reservation is available for PWD candidates within each of the four categories listed above. A candidate is allowed a maximum of 2 attempts in consecutive years in the JEE Advanced exam. Therefore, candidates who had their first attempt in JEE in 2016 have another chance. Stay Tuned for the latest updates on JEE 2017!